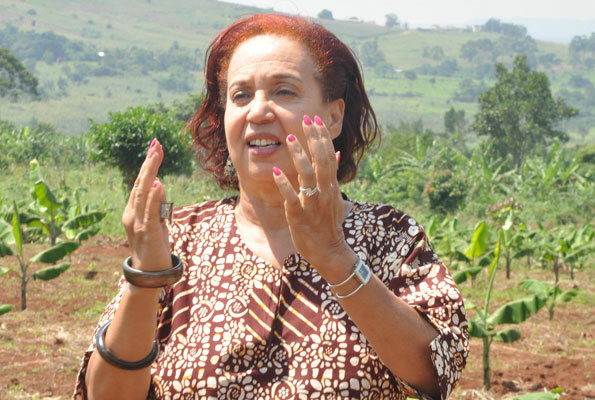 Africa 24 Media – I am Africa — Prof. Margaret Blick Kigozi commonly known, as Dr. Maggie Kigozi is a medical doctor by profession, a business consultant, a Chancellor at Nkumba University and an “avid” motorcycle rider, like her Father and siblings! In Uganda, she’s better known for her work as the former Executive Director of the Uganda Investment Authority (UIA) from 1999-2011. She holds a Bachelor of Medicine and Bachelor of Surgery and has practiced as a physician in Zambia, Kenya and Uganda. In 1994 Dr. Maggie left the medical profession and joined Crown Bottlers Uganda Limited (manufacturers of Pepsi products) as the Marketing Director where she has worked until her appointment at the Uganda Investment Authority (UIA) in 1999. Dr. Maggie is the first woman (and first person) ever to hold this position. Dr. Maggie has continued to serve in various capacities as the Associate Professor, Makerere University; Member of the Global Banking Alliance for Women (GBA) Advisory Board; Director of the Board, Uganda Export Promotion Board & Crown Beverages Limited; Founder, Uganda Investment Authority Women Entrepreneurs Network; Focal Point Officer, Africa Asia Business Forum; Patron, Uganda Change Agents & Junior Chamber International; Patron, Ugandan Diaspora Network; Chief Scout, Uganda Scouts Association; Sportswoman : represented Uganda in Table Tennis, Lawn Tennis, Hockey & Squash. And now Board Member at Akina Mama wa Afrika.